Whether you want to correct a dental Invisalign problem of misaligned, crooked or unevenly spaced teeth at a younger age or in adulthood, you may either choose to go with Invisalign or opt for the more conventional braces. Traditional braces have been in use for a long time and are usually the treatment of choice in most patients who want to get rid of the misaligned or crooked teeth. In simple terms, braces are metal brackets that are fixed (usually glued) to the patients’ teeth and bound with each other by using small rubber bands and wires. The days when braces were massive, almost monstrous looking contraptions fitted in one’s mouth are long over. Nowadays, you can get braces that match the color of your teeth enamel, making them obscure and almost invisible. Alternately, colored braces are also available if you want to make a brazen fashion statement with them. Invisalign is an invisible, removable aligner tray. These are made from smooth and comfortable plastics and fitted on your teeth to coax the teeth into shape and align them smoothly. Like braces, the aligner trays make the teeth, over time, to confirm and to move in the direction of the trays. Each Invisalign tray is personalized and made according to patient’s mouth so that it fits perfectly and works properly. How long does it take for Invisalign to work, How bad does Invisalign hurt or Are getting braces worth it? Use of Invisalign is an efficient way to treat many orthodontic problems, but those which are not too complicated. 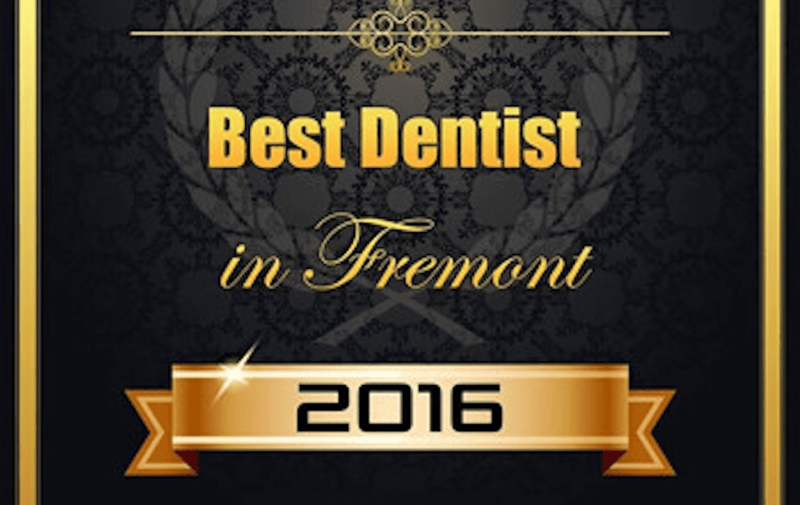 Braces are best to for complex cases as these can correct even the most difficult issues in aligning the teeth. 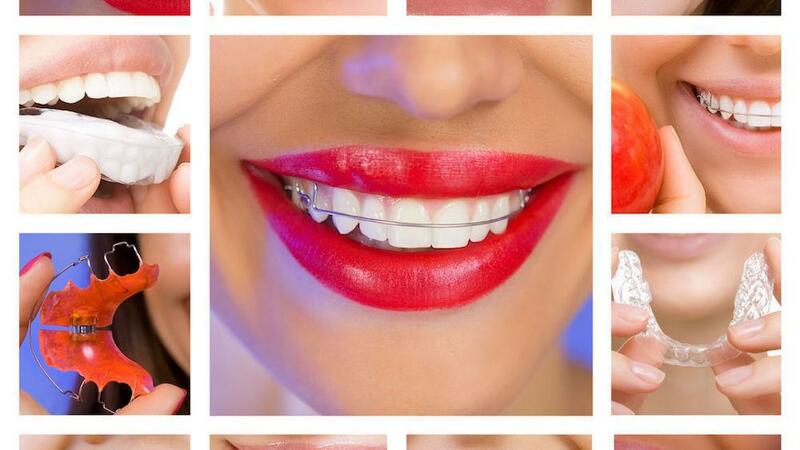 The color of the braces is usually silver, but can match according to the patient’s enamel and is also available in other colors, while Invisalign is transparent and invisible. 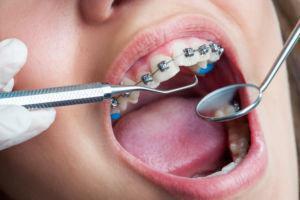 Braces are worn 24×7 for approximately two years, depending on the severity of the problem. 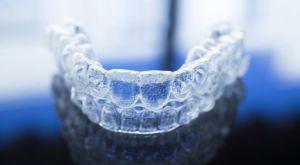 But Invisalign trays are usually worn for 22 to 23 hours a day and for over a period of 6 – 18 months. 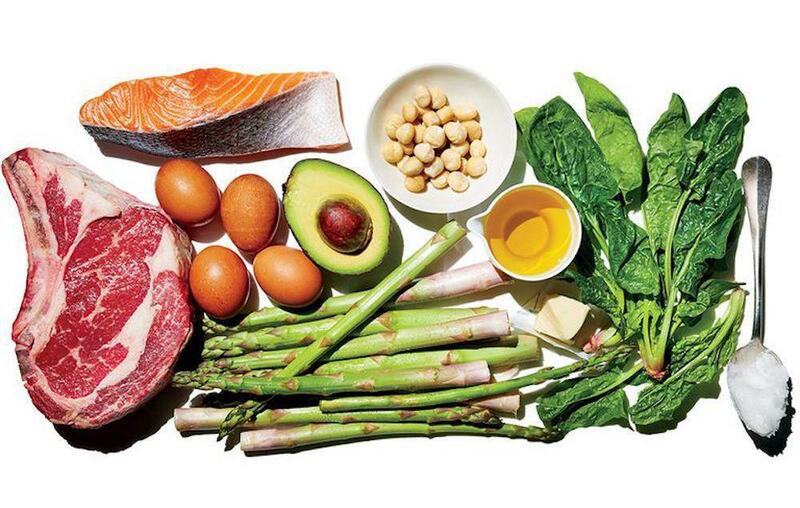 Maintenance of braces is a bit cumbersome as the plaque; food particles stick to them quickly. Hence brackets and wires need to be brushed regularly. Whereas, it is easy to maintain hygiene of an Invisalign. You can either use Invisalign Cleaning Systems or can rinse trays in warm water after brushing. Regular monthly dental visits are required in case of braces. Aligner Trays need changing every two weeks as these require frequent adjustments. Unlike Invisalign trays which are removable, braces are permanent fixtures for the whole duration of treatment. If you are allergic to metal, then braces can result in irritation and can also trap food if regular brushing is not done. This can also lead to other oral problems. Invisalign trays can get damaged or discolored if used while eating food or drinking. The only liquid permitted is water. How much does Invisalign cost compared to braces? Unlike traditional braces, Invisalign are invisible and easier to use. Since these are premium braces, they come with a premium cost as compared to the conventional braces. Ultimately, the choice of solution depends on one’s personal preferences and requirements of the treatment. Our dentists at ‘SHINE DENTAL’ can help you choose the best option for your dental needs and implement it in the most efficient and effective way.